What is nature if not a splendiferous kaleidoscope of colours? Every single day, sunset puts on one of the nature’s most dramatic colour shows, such as the one described by Jack Kerouac in On the Road. “Soon it got dusk, a grapy dusk, a purple dusk over tangerine groves and long melon fields; the sun the colour of pressed grapes, slashed with burgundy red, the fields the colour of love and Spanish mysteries.” A blaze of colours offers the world a radiant, luminous energy, evoking different emotions and memories for each of us. It’s easy to forget the power of colours, however, as humans migrate from country to city and start wearing suits and ties. 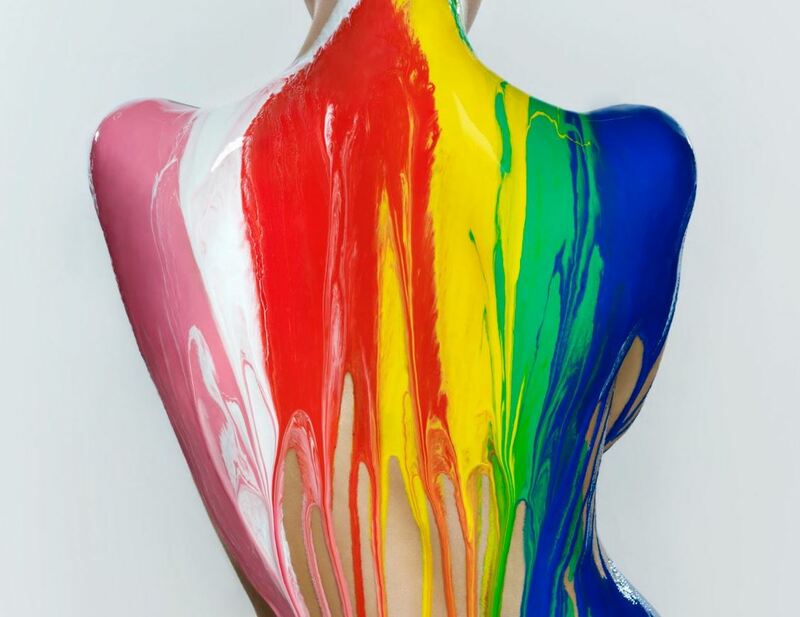 We may have evolved into a species of black, grey and white, but nature never stops offering us the healing power of colour therapy. Being in nature and basking under the blue sky, near turquoise water and shimmering green leaves, can alter our mood and health. 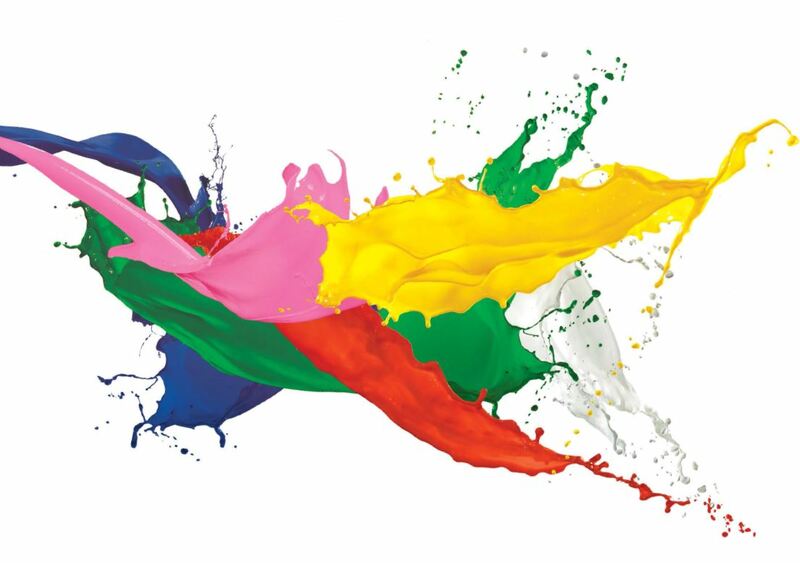 Protecting nature is, therefore, safeguarding our right to colour. And for this mother and daughter duo, that meant transforming this power of nature into something we can carry around in a bottle. Diamond is delicate; pure and clear, it inspires us, offering us imagination and creativity, while neroli articulates a sense of elegance with its clarity. These two ingredients combine for profound results: a pleasure comparable to sunbathing warm white light. The ethereal fragrance of neroli and white musk intertwine to create moments of limpidity and grace. 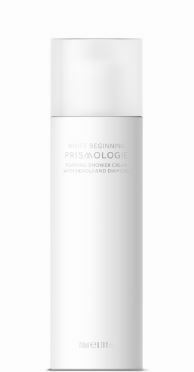 The shower cream is rich in botanical extracts, diamond powder and neroli blossoms, to cleanse and nourish your whole being. Bamboo water, moringa seed extract, mongongo seed oil and coconut oils leave a refreshing trace of aroma on your skin and in your bathroom, awakening all of your senses. This rich body cream is packed with botanical extracts, diamond powder and neroli blossoms to soothe, protect and soften your skin. Rich in bamboo water, cotton seed extract, hoya lacunosa flower extract, camellia seed oil and shea butter, the body cream both deeply nourishes your skin and stimulates the production of collagen for improved skin elasticity. Massage the cream onto your skin and watch it melt into an oil-like consistency for quick absorption. 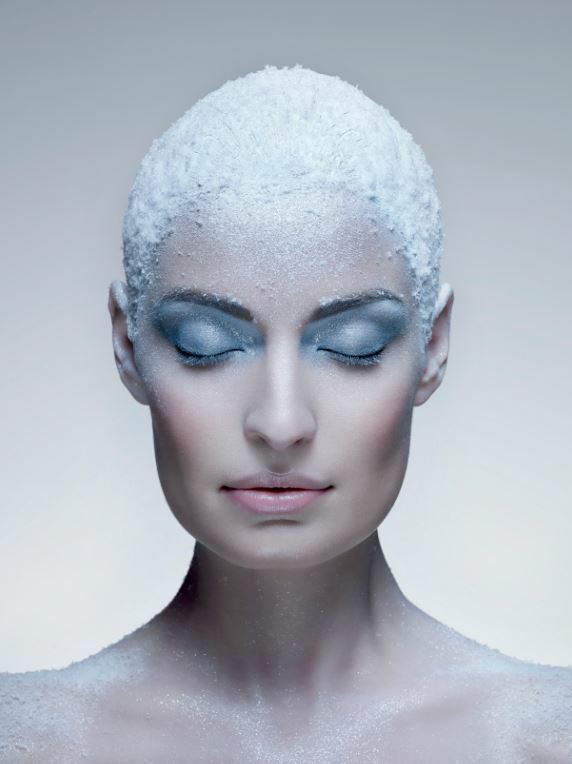 Fine diamond powder leaves your skin sparkling, as if you were a precious gem yourself. Citrine is a quartz gem full of light and happiness, releasing positive energy. Shades of citrine vary from dark yellow to amber, each one a delight to the eyes. The Citrine & Bergamot collection awakens your mind, body and soul with its signature refreshing bergamot and citrus scent, giving you confidence and energy. 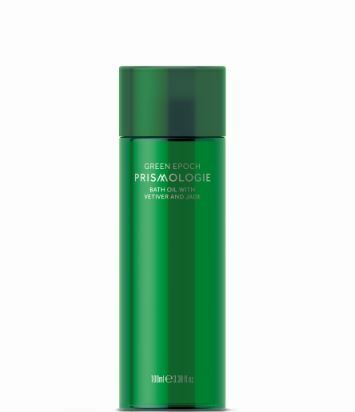 The shower gel contains the energising sparkle of citrine, botanical extracts, cactus extract and Chinese Soapberry, awakening your skin’s firmness and locking in moisture. 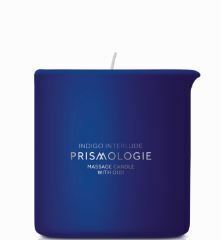 The inclusion of aromatic Nile Lily and bergamot offer additional splendour and refresh your mind and soul. 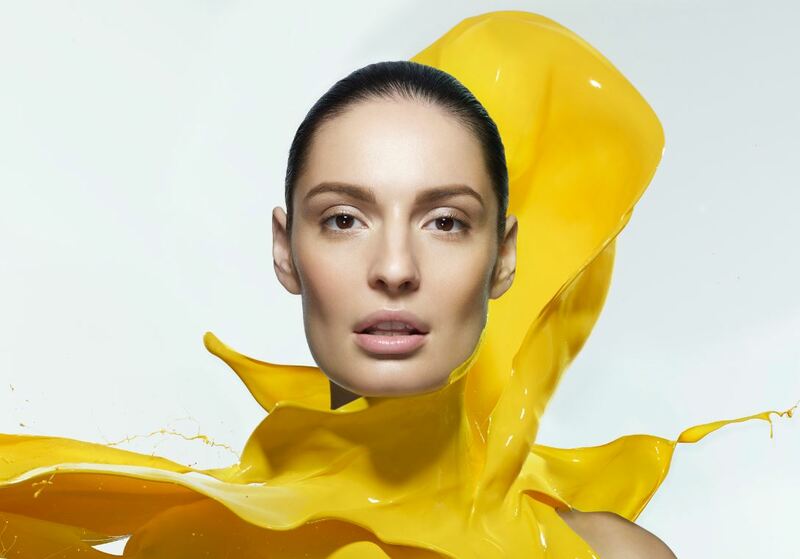 After showering, you are left feeling exhilarated, your skin silky smooth and moisturised. Allow the invigorating scent of citrusy bergamot to lift your spirits and energise your body and your skin. 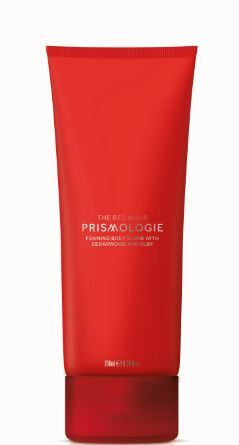 This lightweight yet silky lotion is absorbed in a flash, leaving your skin hydrated. Rich in botanical oils, citrine extract and bergamot, the lotion awakens skin cells and restores luminosity. Nile Lily stimulates cell renewal and the production of collagen to intensify skin’s elasticity and firmness, breathing new life into your skin. Rose quartz, one of the most powerful minerals in nature, removes dead skin cells and impurities effectively, while the enveloping fragrance of rose and honey offers a luxurious moment of tranquillity after a long day at work. 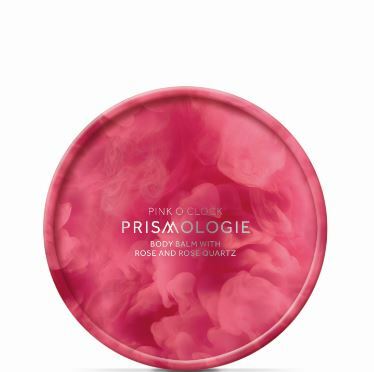 This luxurious cream is enriched with botanical extracts, rose quartz and Arctic rose, creating an uplifting fragrance and sensual texture to soothe and comfort dry, stressed hands. Rose quartz micro-crystals renew your skin by removing dead skin cells and impurities, while the alpine plant complex helps brighten and even out skin tone, and reduce the appearance of age spots. When you need a moment of tenderness and care, apply the cream and then cup your hands over your nose, taking a deep breath and letting the calming effects of pink soothe your mind and senses. Use the velvet body puff to smooth balm onto your skin for the ultimate pampering that instantly gives your skin a golden glow. 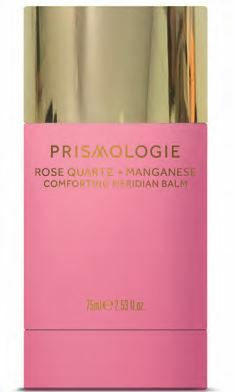 Rich in rose quartz micro-crystals and Artic Rose, the balm guides you on a journey to glowing, radiant skin. Formulated with rosehip seed oil that is rich in omega 3 and 6 and vitamin A, the body balm supports the skin’s lipid barrier and maintains its moisture balance. Take a deep breath and submerge yourself in the fragrance of rose and honey, leaving you feeling loved and pampered. Jade, known as the stone of serenity in China, is revered as a powerful healing stone that balances the senses and restores peace of mind. The Jade & Vetiver Collection contains tender vetiver to balance you mentally, physically and spiritually, while the freshness of grapefruit offers of tranquillity and security, clarifying and revitalising your body and mind. 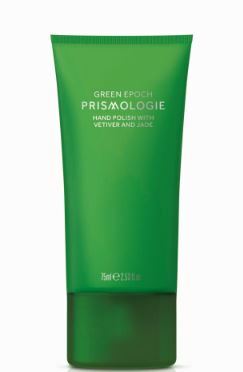 A super-efficient plant-active exfoliant that polishes away dead cells to return silky smooth skin to your hands. Gently exfoliate your skin with jade micro-crystals and pure silica, while avocado oil and Tamanu oil soften rough patches and improve moisture and protection. Olive oil boosts skin cell renewal and vitamin E nourishes and protects your skin from environmental stressors, while the calming scent of vetiver leaves a delicate, woody note behind. Formulated with a restorative blend of plants, jade micro-crystals and vetiver, the bath oil is rich in Tamanu oil, apple seed oil, inca inchi oil, olive oil, hemp oil and meadowfoam oil to rejuvenate and moisturise your skin. Healing jade micro-crystals gently exfoliate, while the omega 3 and 9 found in inca inchi oil soothes and hydrates your skin, making the bath oil ideal for sensitive, damaged and dry skin. The bath oil can also be used as a foot soak or for massage, to be washed away after application. The oil contains wonderful, intensely moisturising properties to re-energise your mind, body and soul. 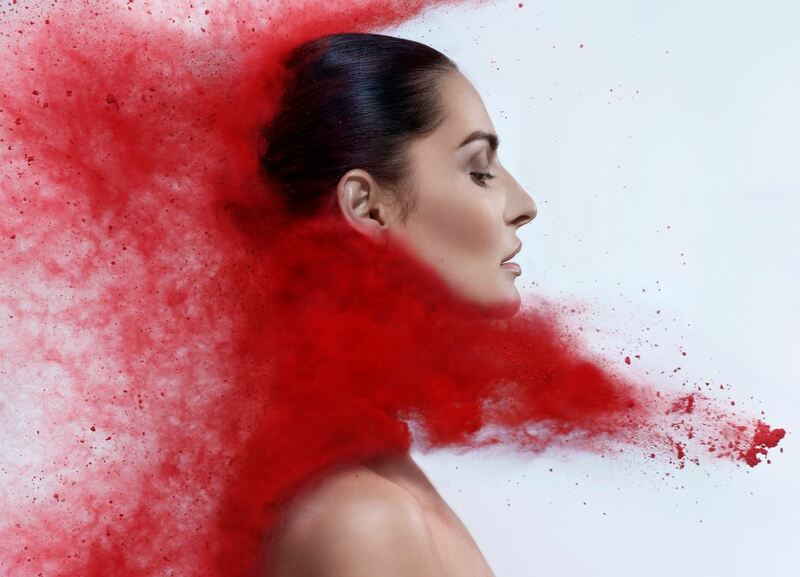 Ruby is famous for its exceptional colour, while as a powder, it exfoliates and reinvigorates our skin. Here the warmth and vivid scent of red cedarwood is combined with the spiciness of saffron to create a boost of energy and confidence. Invigorate your shower experience with revitalising ruby micro-crystals, mineral-rich volcanic spring powder, cherry stone powder and pomegranate enzymes. The exfoliating ingredients encourage cell renewal, nourishing and revitalising your skin, while the scent of cedarwood awakens all your senses. 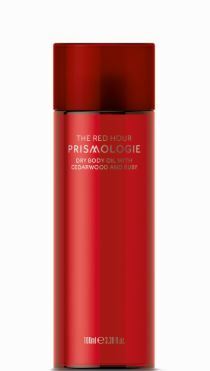 This silky dry body oil, a blend of capsicum extract, anti-oxidants, ruby micro-crystals and cedarwood, recharges your energy levels by producing a gentle warming effect while toning and firming your skin. The oil boosts cellular detoxification, blood circulation and collagen production. Apply after your shower and allow the warming sensation to envelop your skin and ignite your passion. 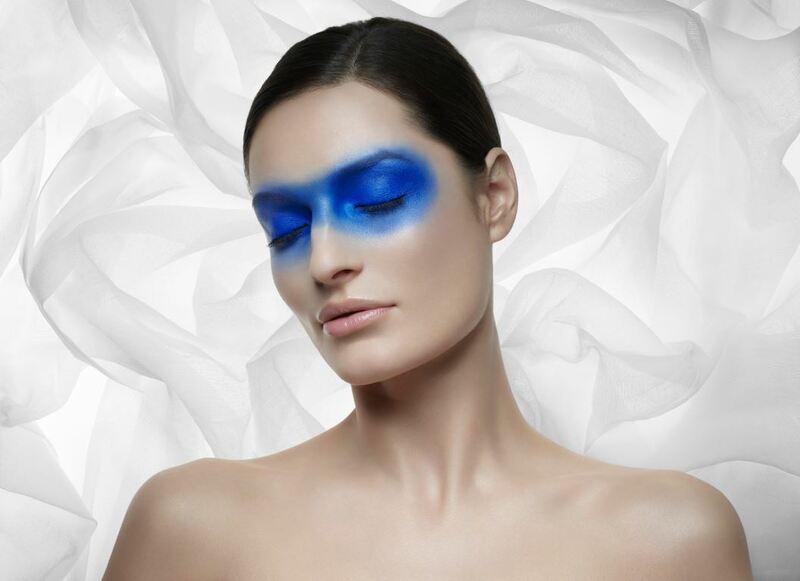 Sapphire inspires confidence, compassion and harmony. In gemstone therapy, sapphire is exceptional for calming and relaxing the mind. Oud offers complete serenity after a long day. Together with amber, the Sapphire & Oud collection is the ultimate short-escape indulgence. 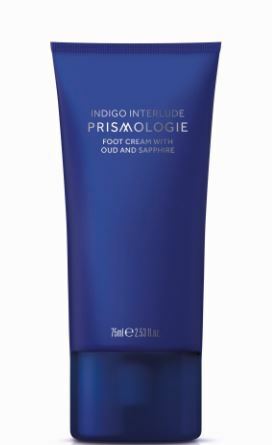 A deeply nourishing foot cream with antioxidants, plant actives and sapphire micro-crystals. The soothing scent of oud cleanses your body, mind and soul, while wild indigo, violet rice, blackcurrant seed oil and wild mango butter provide deep nourishment to restore natural radiance. Massage with light pressure in a circular motion to relieve tension in your soles and give your toes a treat. Let the fragrance of oud wash over you, calming your body and elevating your mood. The candle, made of soybean oil and beeswax, is infused with oud, with wild mango butter and coconut oil to soften and moisturise your skin. Light the candle until a pool of warm wax forms and then use it as massage oil. The wax can be incorporated into a massage treatment to indulge in a special, relaxing moment. A three-minute ritual you can indulge yourself with each day to enjoy a moment of mindfulness in this buzzing city. 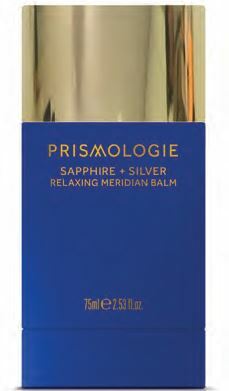 Prismologie has developed unique massage techniques for use with the meridian balms, to enhance the flow of energies in order to improve skin and body, as well as emotions. The innovative three-minute massage is influenced by Traditional Chinese acupuncture: the balms are traced along specific lines in the body in a circular motion, from legs to the stomach and then to the chest, while gently tapping on the acupuncture points of the lower back. This pink balm joyfully uplifts the spirits with its carefully selected aromatherapy properties, while deeply nourishing ingredients treat the body. The comforting balm is scented with delicate rose essential oil and enriched with semi-precious rose quartz, offering you the ultimate indulgence. Skin is further cosseted by antioxidant manganese and age spots are diminished with peony root, with four o’clock flower providing all-round protection. 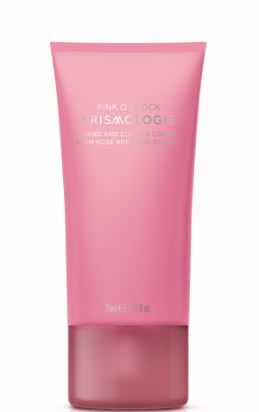 Passion flower and rosehip seed oils combine with Arctic Rose to deliver skin that is simply happier. 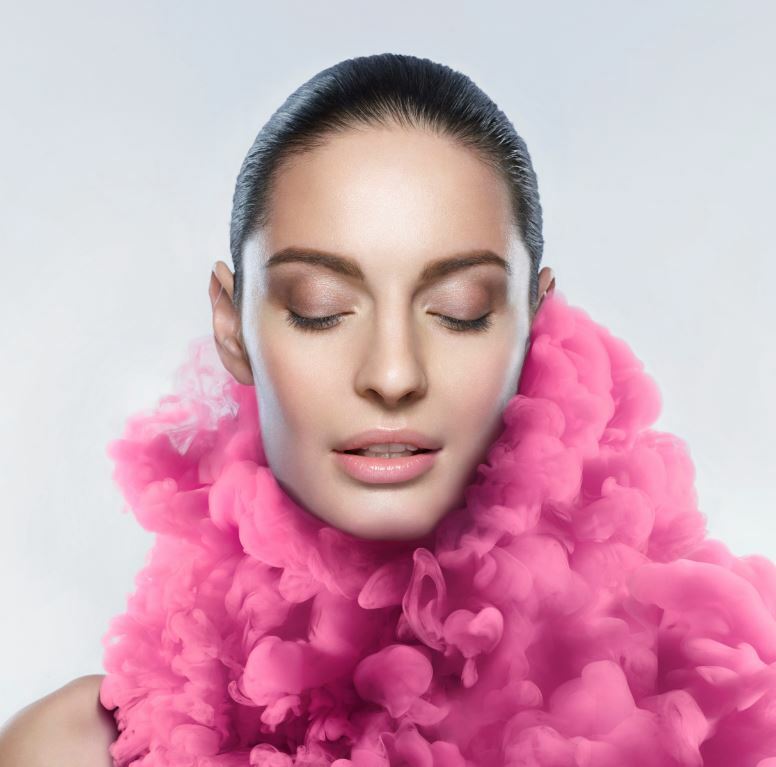 A luxurious fusion of essential oils, precious metals and gemstones that exudes a fascinating scent. The heady aroma of oud, one of the world’s most valuable perfumes, helps to quiet even the busiest of minds. Soothing silver is renowned for its anti-inflammatory properties, while butterfly lavender extract helps to maintain muscle tone. Wild indigo relaxes, balloon vine extract reduces redness, and blackcurrant seed oil and violet rice balance and protect the body. A tea journey that starts by engaging you with scent and taste, and continues by making your body feel energised, invigorated or relaxed. 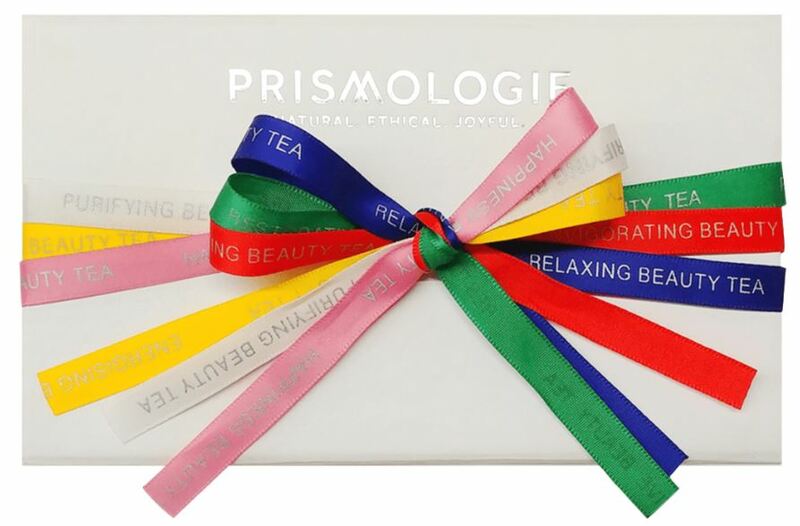 Beauty teas not only improve the skin and nourish the body, they can also elevate the mood and senses. 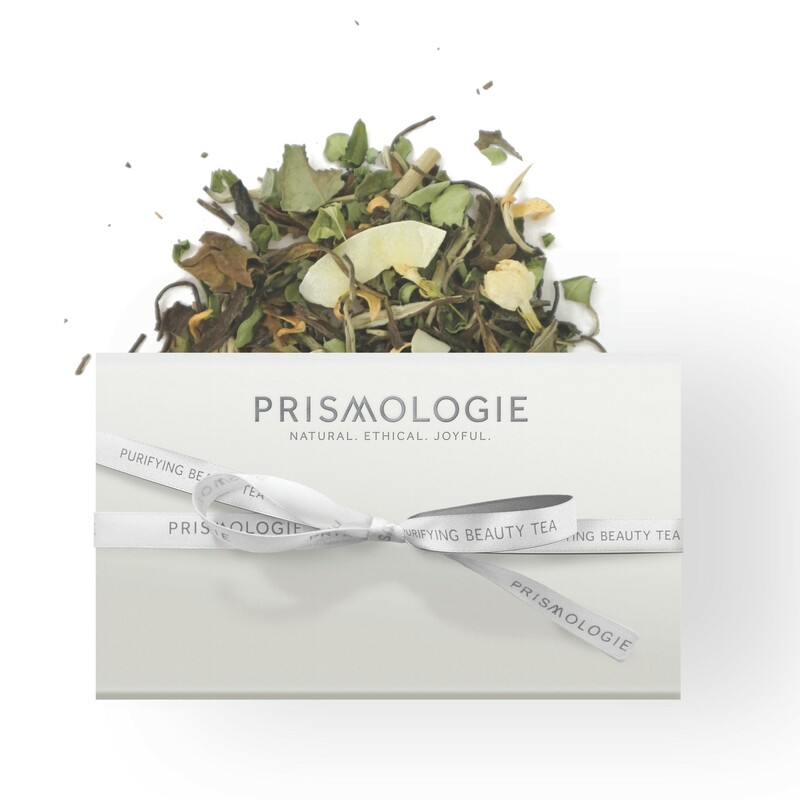 Detoxify with this uniquely blended natural loose-leaf tea to enhance your beauty, cleanse your body and focus your mind. Purify your senses with delicate buds of orange blossom, velvety organic jasmine and silver needle, rounded out with creamy coconut. Blended with the amazingly rich moringa leaf, with three vitamins, nine amino acids, 92 nutrients and 46 different antioxidants, to improve your immune system and circulation, while silica-packed bamboo leaves strengthen your hair and skin, promoting wellness and beauty from the inside out. Ingredients: orange blossom, organic jasmine, coconuts, moringa leaves, bamboo leaves and Fujian white tea. 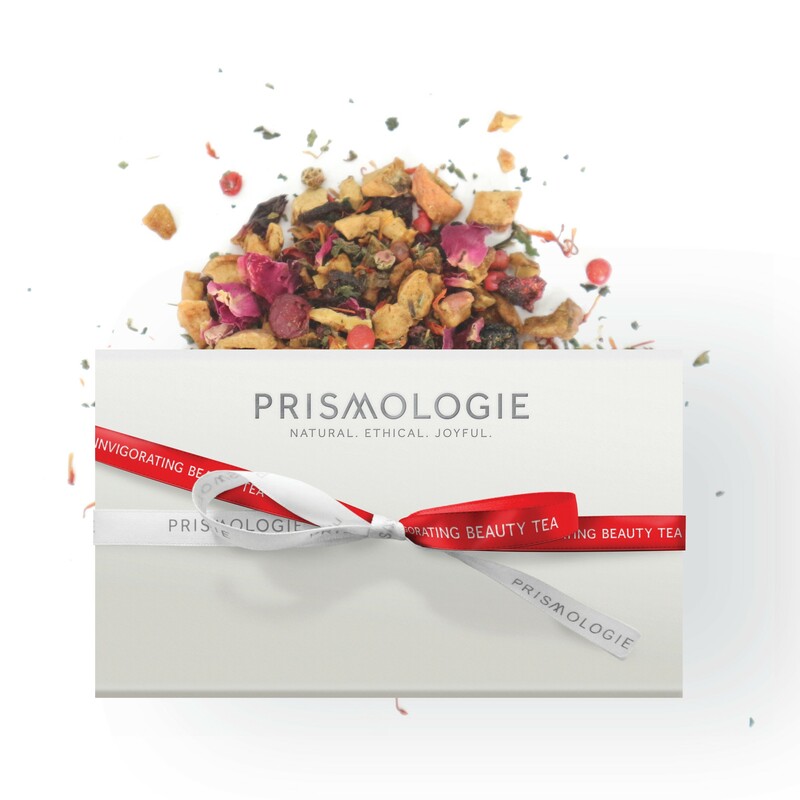 Revitalise with this uniquely blended natural loose-leaf tea to enhance your beauty, energise your body and awaken your mind. Stimulate your senses with a burst of zesty lemon peel-infused Lung Ching green tea, balanced with stimulating Bourbon Vanilla to revitalise you from tip to toe. Energise your body with slimming and stimulating caffeine and mineral-rich yerba mate to improve your metabolism before and after your daily exercise. Enhance your digestive system with antioxidant-rich turmeric and lemongrass, while carrots, which are rich in iron, calcium, magnesium, copper, zinc and vitamins A, B and C, strengthen health and immunity. Ingredients: lemon peel, Lung Ching tea, Bourbon Vanilla, yerba mate, turmeric, lemongrass and carrots. A tea for beauty, body and mind. 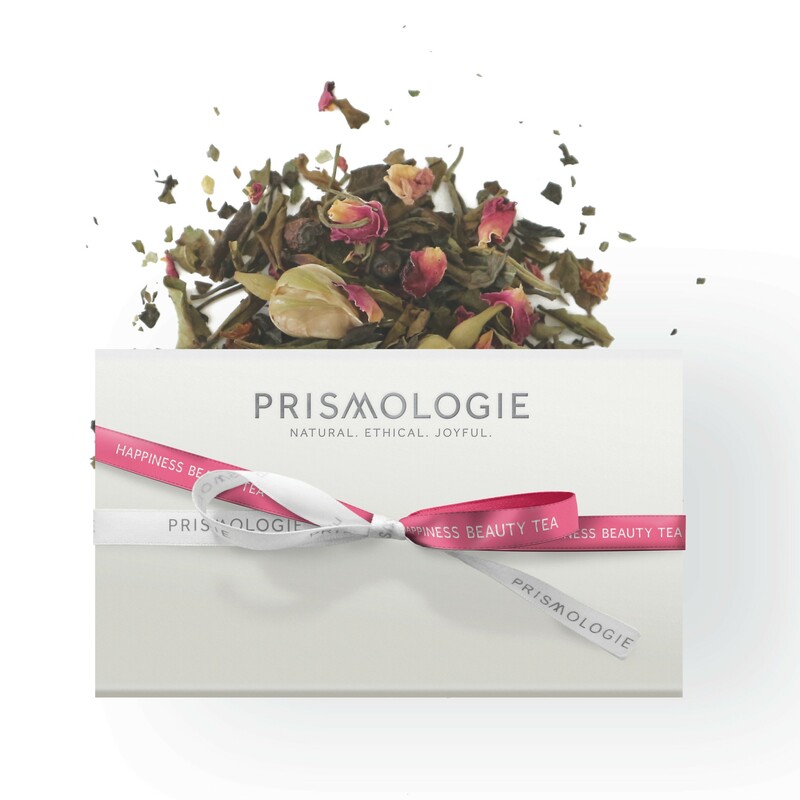 Indulge in this natural loose-leaf tea to enhance your beauty, nourish your body and destress your mind. Comfort your senses with the sweet flavour and scent of rose petals and the indulgent lightness of Pai Mu Tan white tea, finishing with the lingering, velvety taste of marshmallow. Liquorice root helps with digestion and antioxidation, while juniper berries relieve water retention. Finally, destress and unwind with calming and naturally relaxing vitamin-rich lime tree and organic lady’s mantle. Ingredients: rose petals, Pai Mu Tan white tea, marshmallow, rosehip, liquorice root, juniper berries, lime tree and organic lady’s mantle. 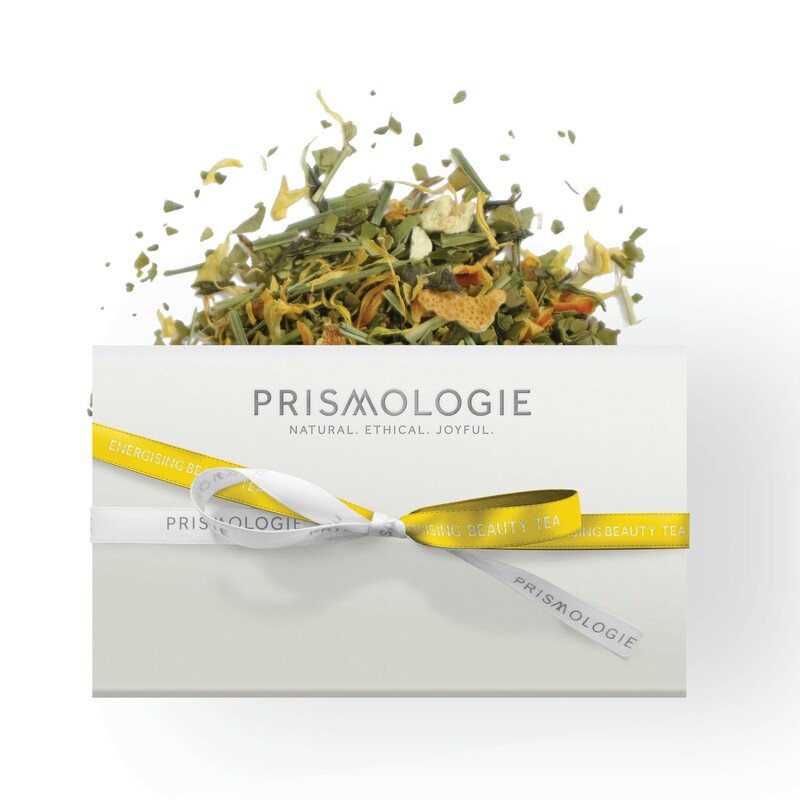 Enhance your beauty, restore your body and harmonise your mind with this uniquely blended natural loose-leaf tea. Infused with green herbal ingredients like herbaceous thyme, basil, rosemary and aromatic lemon myrtle, finished with a gentle sweetness to balance your mind. Japanese kukicha kaede, nettle and yerba mate are packed with antioxidants, while guarana contains natural caffeine for extra energy. Together with superfood spirulina, this cup of tea can restore your energy and enhance your mood in a delicious way. Ingredients: thyme, basil, rosemary, lemon myrtle, sweet liquorice root, Japanese kukicha kaede, nettle, Brazilian guarana, olive leaves, moringa leaves, spirulina and yerba mate. 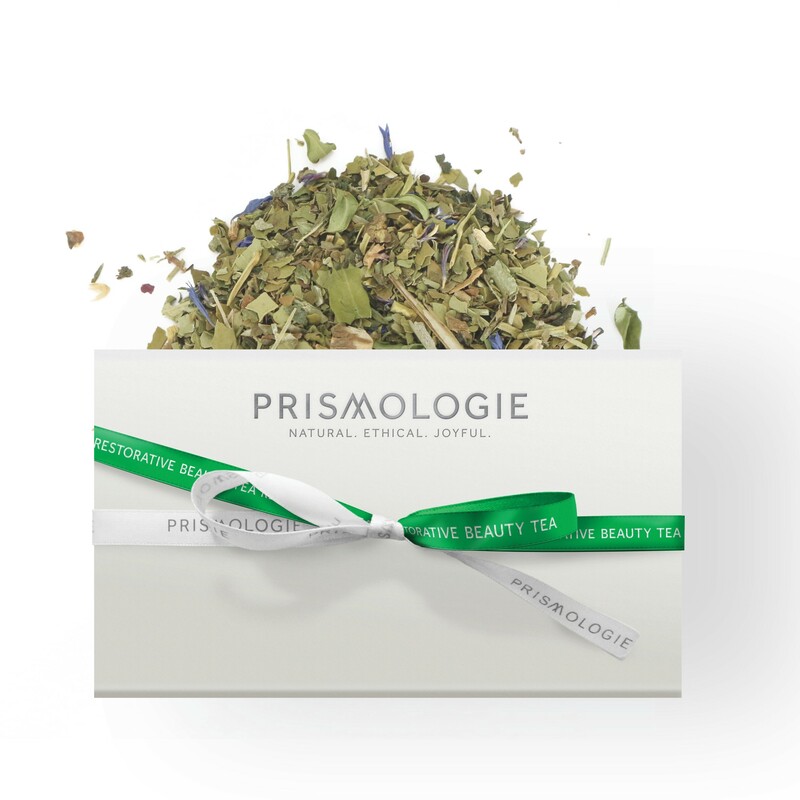 Activate with this uniquely blended natural loose-leaf tea to enhance your beauty, warm your body and stimulate your mind. Invigorate and tantalise your taste buds with the fruity allure of raspberries, cranberries and apples, rounded out by rose petals and finished with the spicy zing of pink peppercorns. Boost your energy with caffeine-free red rooibos full of calcium, magnesium, zinc and vitamin C, while antioxidant goji berries and organic aronia berries to help control your body weight. Lastly, get your daily dose of vitamins from nettle, which is high in B-complex, C, D and K vitamins, iron, potassium and folic acid. Ingredients: raspberries, cranberries, apples, rose petals, pink peppercorns, rooibos, goji berries, aronia berries, nettle, beetroot and organic pomegranate seeds. 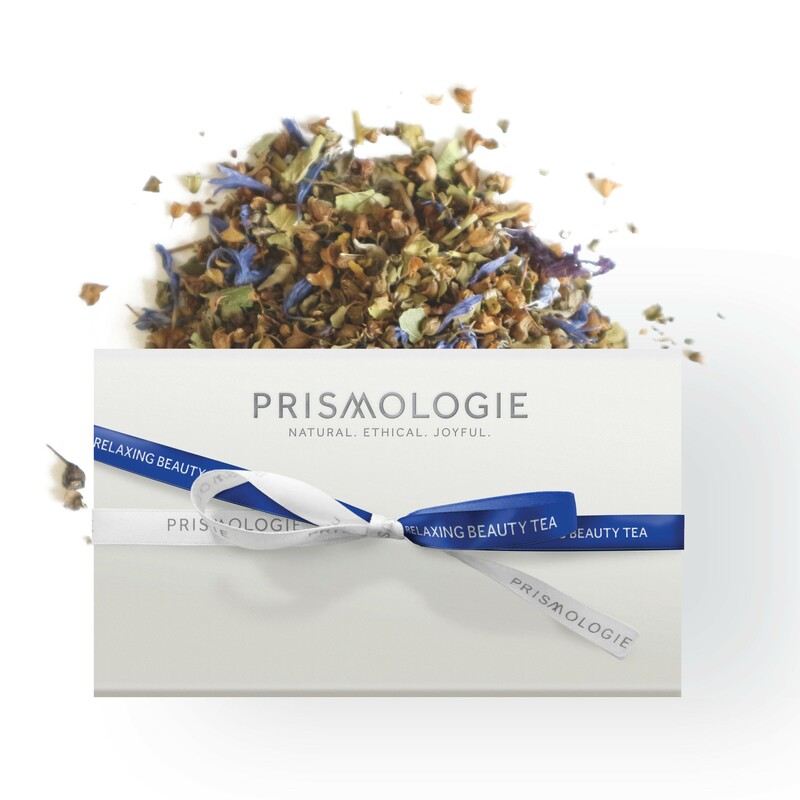 Unwind with this natural loose-leaf tea to enhance your beauty, relieve your body and relax your mind. An infusion of blue herbal ingredients like dates and blueberries offers a rounded taste and a mellow tea aroma, ending with indulgent cocoa and its boost of antioxidants. Relieve and maintain your liver’s health with vitamin-rich dandelion and birch leaves, while vitamin K-rich tulsi improves your memory and naturally regulates your energy levels. Soothe your senses and unwind with a collection of herbal goodness. Ingredients: dates, blueberries, violets, blue cornflower, dandelion, birch leaves, tulsi, mallow, blackcurrant, passion flower and cocoa.